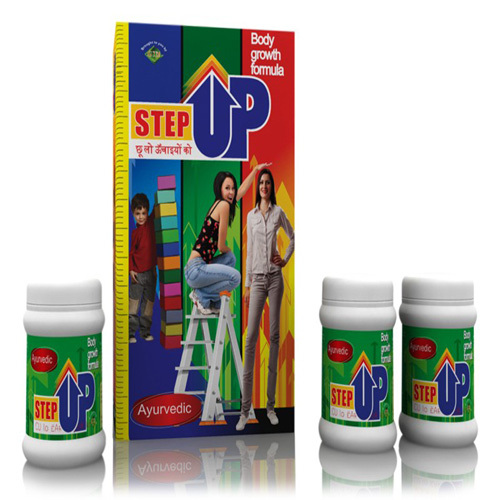 Step up height increaser herbal body growth formula will help to increase your height up to 6 inch in just 3 to 6 months. Increasing Height Naturally and Easily! You Will See Amazing Results! New confidence in yourself and your height, and now with my new revolutionary step-by-step total growth system, it's easy. The world just isn't fair for "shorter" folk. Short People facing problems. Step up height increasing product Increase your real height by up to 6 INCHES! Increase Height & strength,Enhances Memory,Enhances Energy.Enhances focal point,Enhances strength,Increases Bone Mass and Density,Thickens Cartilage, Ligaments, and Tendons,Herbal Body Growth is an Amazing.